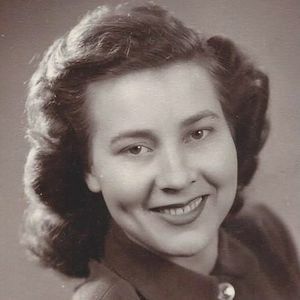 CENTRAL CITY- Sarah L. Moore, 86, of Central City died Saturday, May 21, 2016 at 3:00 PM at Kindred Nursing and Rehabilitation Center in Greenville. Ms. Moore was born in Muhlenberg County on January 26, 1930. She was a member of Green River Chapel and taught Sunday school for many years. Ms. Moore is preceded in death by her husband, Clyde Moore; son, Joey Moore and brothers Charles and Ed Morris. Survivors include her son, Brent (Dana) Moore of Central City; daughter, Shelia (Ernie) Bullock of Central City; grandchildren, Mark Smith, Stacey Dearth, Kaleb Moore, Kyle Moore; great-grandchildren, Sarah Dearth, Isaiah Smith, Jaylin Smith; brothers, Butch Morris of Owensboro, Don Morris of Greenville; sisters, Jane Johnson of Michigan, Verna Geary of Central City, Glenda Rickard of Powderly; several nieces and nephews. Funeral services will be held Tuesday, May 24, 2016 at 1:00 PM at Tucker Funeral Home in Central City with Chad Moore officiating and Brent Moore assisting. Burial will be in Rose Hill Cemetery in Central City. Visitation will be held Monday, May 23, 2016 at 5:00 PM at the funeral home. Online condolences can be made at www.tuckerfuneralhomes.com. My thoughts and prayers are with your loved ones for peace and comfort. Mrs. Moore was such a lovely lady and I know her family will miss her greatly. So sorry for your loss. We are so sorry to hear of the loss of your mother. She was a wonderful woman and role model to all. She lived as a christian and showed us all what it was all about. Our hearts and prayers are with you all! Much love to you! SO SORRY FOR YOUR LOSS SHEILA AND FAMILY. I MET YOUR MOTHER WHEN I FIRST STARTED WORKING AT THE HD. SHE CAME IN TO HAVE HER B/P CHECKED. SHE WAS ALWAYS QUIET, SOFT SPOKEN AND VERY MUCH A LADY. GOD BLESS YOU ALL DURING YOUR GRIEF. During times such as these, it is important to remember that you have many friends and non-traditional family members that care for you. I pray you find comfort in your memories and strength in your faith. Dear Sheila, I am so sorry to hear about the loss of your dear Mother... but our loss is Heaven's gain. I know that you will miss her while you are still here, but you will be reunited with great joy! What comfort and hope abide in His promises! Sarah & Clyde was our neighbors for over 30 years and were very kind and considerate all of that time. Although death is always a sad event for those of us still here, she will finally rejoin her precious Clyde and all will be well. God bless and comfort Brent, Shelia and family during this difficult time. please accept my heartfelt sympathy to all of you during this difficult time. Aunt Sarah was always a very sweet and kind person and I hope your wonderful memories and the love of your family will give you great comfort. Brent, I'm so sorry for you and your family's loss, praying for comfort for you and your family. Your in my thoughts & prayers.